Bath’s Royal Victoria Park has been a staple meet up for locals in the area for decades. The vert ramp that once stood tall brought legendary sessions, copious amounts of folklore and also launched a few memorable names too. The build, funded by North East Somerset Council didn’t hold back when it came to their support of this project. 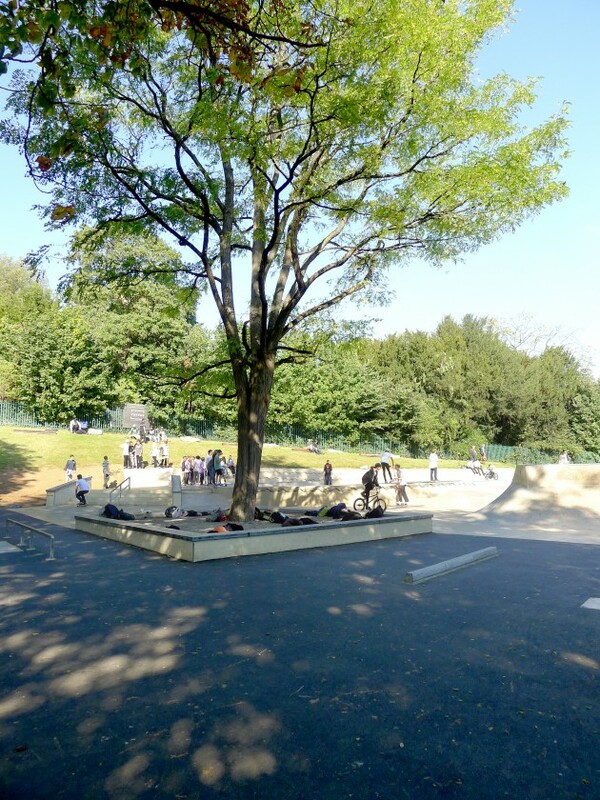 With new design plans coming from locals in a strong user group and the council’s will to go big, they’ve ended up with a reputable park that should serve generation after generation. Since it was redeveloped by Canvas Spaces and opened to the public on the 26th September the new concrete has had visitors coming from afar to check it out. Josh Young was pretty much the first to get some footage on the new bowl. Canvas Spaces’ super smooth ‘crete supplied the tools whilst Josh made it look easy. Veteran ripper Sean Goff also made a trip there from his hometown of Oxford and vowed that it’s “well worth a visit”. 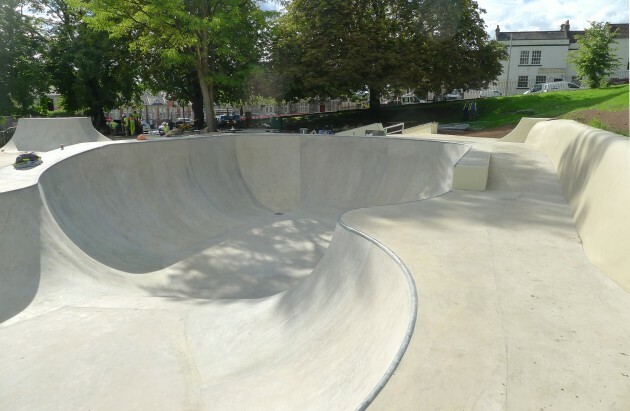 A lot of bowls are being built around the UK but “most of it is small though. This is one of the few decent size bowls built this year.” Scroll down for his footage. The NPNG crew from Bournemouth laid down this new edit for Danny Bulmer’s lens to give you a good understanding of the hubba, ledge and stair set up near the bowl. Nicky Porter, Tobias Moors, Todd Langdon and Alex Tibble all in the mix with Bulmer too. Have a good look around and plan your trip soon before the winter arrives. Address: Royal Victoria Park, Park Lane, Bath BA1 3BA. Map here. 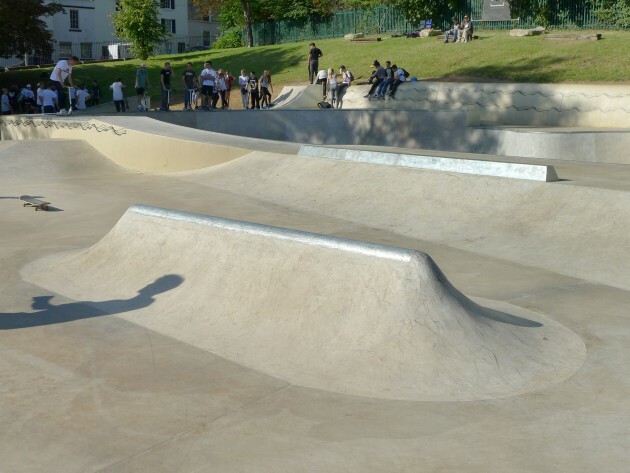 First roll at Baths new skatepark…It's well worth a visit. Stoked to see that Lucien Clarke has his own shoe out on Supra this month, it’s well deserved and a banging pro model too. Enjoy this new footage hitting London spots. Wheelscape‘s latest build in Everton Park, Liverpool is not your regular concrete hole. 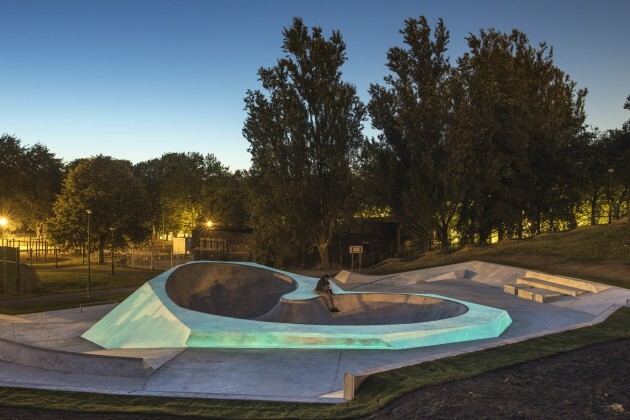 The addition of the first Glow in the Dark bowl the United Kingdom has seen has made tongues wag in the media who say “it’s one of the deepest bowls in the UK”, but spooky concrete aside, what is it like to skate? This new video from Wheelscape released today doesn’t give much away on the bowl front, aside from it looks quite mellow and not as deep as the Guardian make out. Russell Heideman’s edit does showcase though the amazing looking blocks and ledges that surround the bowl making this place look like it could be really fun to skate. Hopefully we will see Howard Cooke charging that bowl soon but until then, enjoy this footage with skating coming from Channon Wallace, Ryan Gabison, Charlie Comrie, Ryan Cunningham, Matt Wootton, Charlie Birch, Matt Popek as well and more. It’s looks well worth a visit. Address: Everton Park, Liverpool. Map. 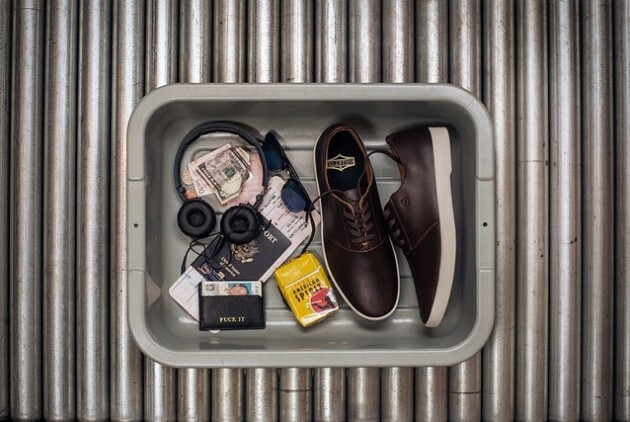 In true HUF style, Austyn Gillette‘s new shoe is another classy number that is built for skating or sipping cocktails at the bar. Make your choice but there’s no denying this new pro shoe looks stunning. Look out for them landing at your local skate shop very soon. 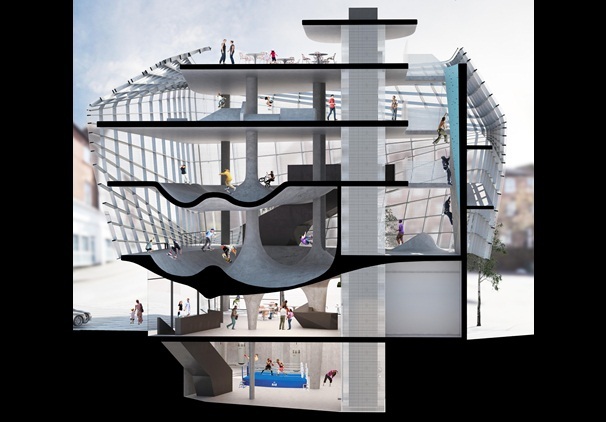 World’s first multi-story skatepark for Folkestone? 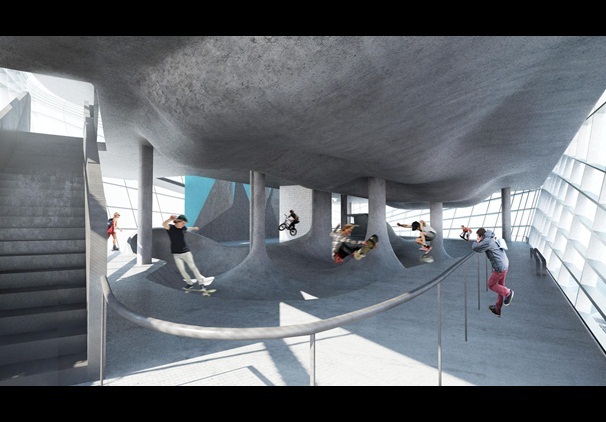 Anything goes these days so seeing a multi-storey skatepark idea wasn’t that much of a surprise, but when you look into the design and construction idea that Guy Hollaway Architects have proposed Folkestone’s skate scene, you can imagine they are salivating at the prospect of it becoming a reality. 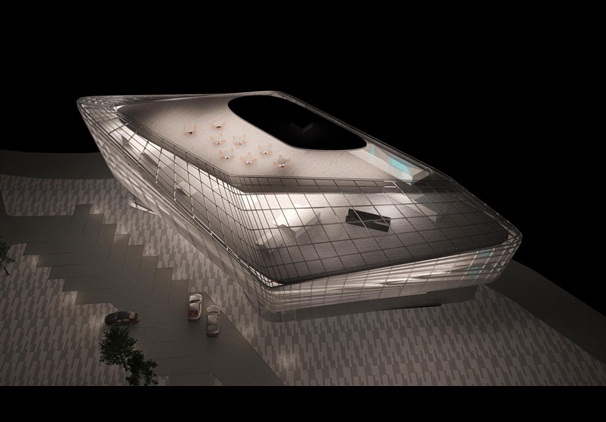 Each floor has its own function, including ‘an international standard bowl floor, a flow park and a street floor’. 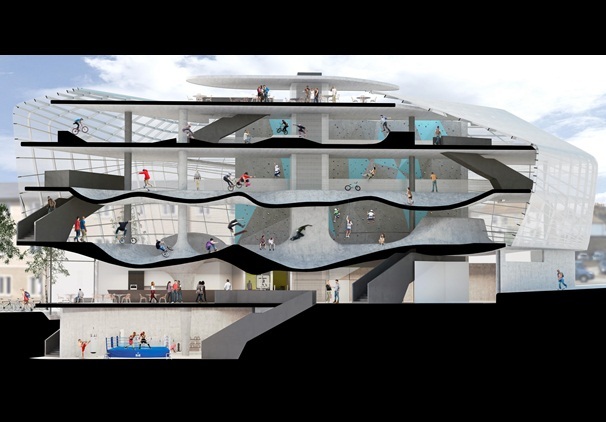 This can also be skated from floor to floor, so it’s easy to imagine the possibilities of what the outcome will be knowing that most of us enjoy skating a public car park for that very reason, specially when it’s raining. 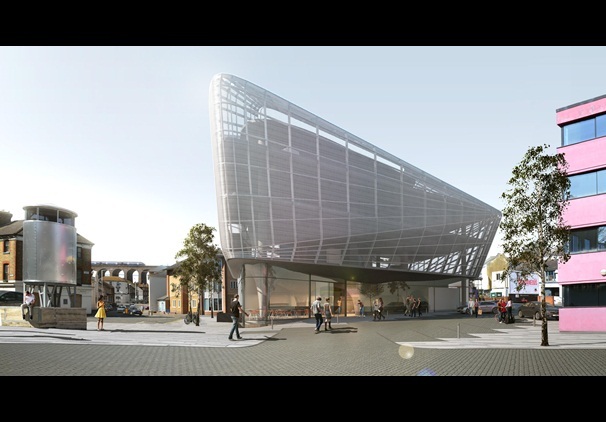 It could well be signed off following a public consultation this weekend and plans being submitted within 8 weeks. 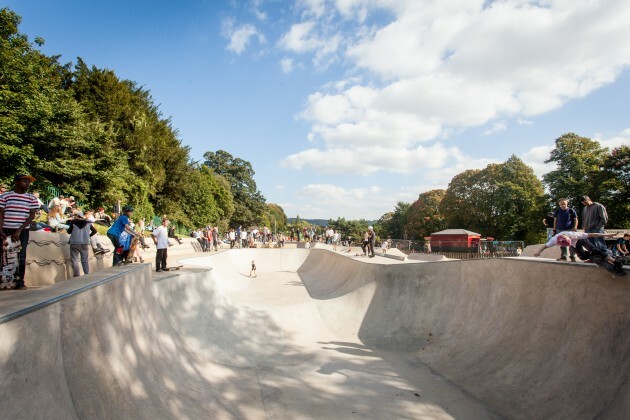 Fingers crossed it goes ahead and they find someone special to make it incredible, such as Canvas Spaces, whose plans for the incredible new Bath skatepark will be announced on here very soon. 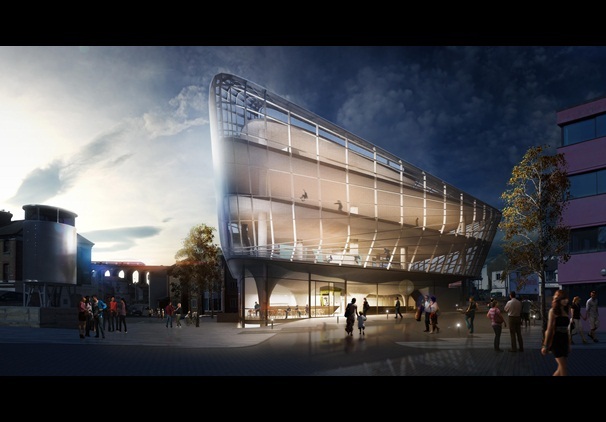 Seen the new Projekts park yet in Manchester? We posted up some fresh pics here last Friday but now you can enjoy some footage of Jake Wainwright, Jack Newman, Josh Glossop, Shaun Currie & Tom Sykes getting some time in on the newly built plaza filmed by Conal Bailey & Tom Sykes. 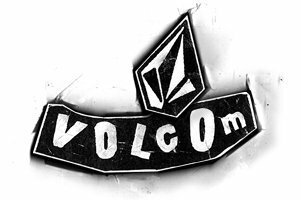 Volcom are flexing some muscle this week with the completiton of their new indoor skatepark in California. The wood/concrete mix looks to be a hit this weekend for the Damn Am comp out in Costa Mesa, have a look around it here. 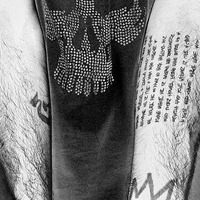 UNKLE head honcho James Lavelle has returned with a new 2.5 hour mix this week. Living in my Headphones pt 1 ‘A Night’s Interlude’ has his usual mix of genres and overall vibes, first in a while. 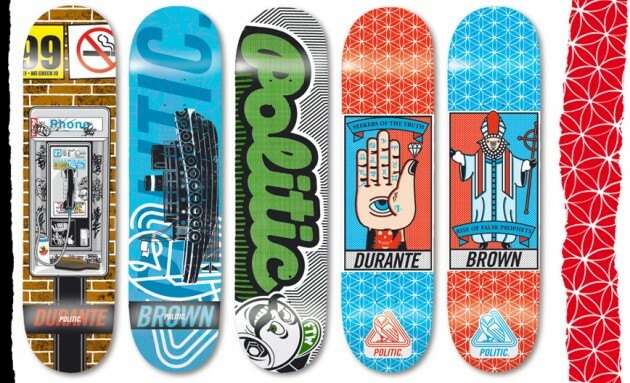 Steve Durante and Brian Brown are now pro’s for a new deck company in the US called Politic that has launched this week. Watch this tasty promo welcoming Durante and Brown plus Curtis Rapp and Jason Spivey who make up the am squad and scroll down to have a gander at the their new wood. 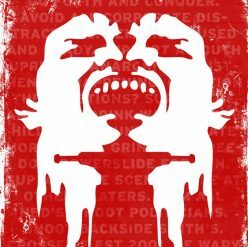 introducing… from Politic. on Vimeo. 23rd – NORWICH Norwich U.E.A.